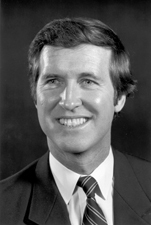 COHEN, William Sebastian, a Representative and a Senator from Maine; born in Bangor, Penobscot County, Maine, August 28, 1940; attended the public schools; graduated, Bowdoin College, Brunswick, Maine, 1962; graduated, Boston University Law School 1965; admitted to the Maine bar in 1965 and commenced practice in Bangor; instructor, University of Maine 1968-1972; assistant county attorney, Penobscot County 1968-1970; member, Bangor City Council 1969-1972; member, Bangor School Board 1970-1971; mayor, city of Bangor 1971-1972; author; elected as a Republican to the Ninety-third Congress in 1972; reelected to the Ninety-fourth and Ninety-fifth Congresses (January 3, 1973-January 3, 1979); was not a candidate for reelection to the House of Representatives, but was elected in 1978 to the United States Senate; reelected in 1984 and again in 1990 and served from January 3, 1979, to January 3, 1997; not a candidate for reelection in 1996; chairman, Select Committee on Indian Affairs (Ninety-seventh Congress); Special Committee on Aging (One Hundred Fourth Congress); Secretary of Defense in the Cabinet of President William Jefferson Clinton, 1997-2001; Chairman and CEO, The Cohen Group 2001-. Cohen, William S., and Janet Langhart Cohen. Love in Black and White: A Memoir of Race, Religion, and Romance. Lanham, Maryland: Rowman & Littlefield Publishers, 2007; Cohen, William S., and George J. Mitchell. Men of Zeal: A Candid Inside Story of the Iran-Contra Hearings. New York: Viking, 1988. Cohen, William S. Roll Call: One Year in the United States Senate. New York: Simon & Schuster, 1981.